Jeanne's kiva, originally uploaded by The Bacher Family. 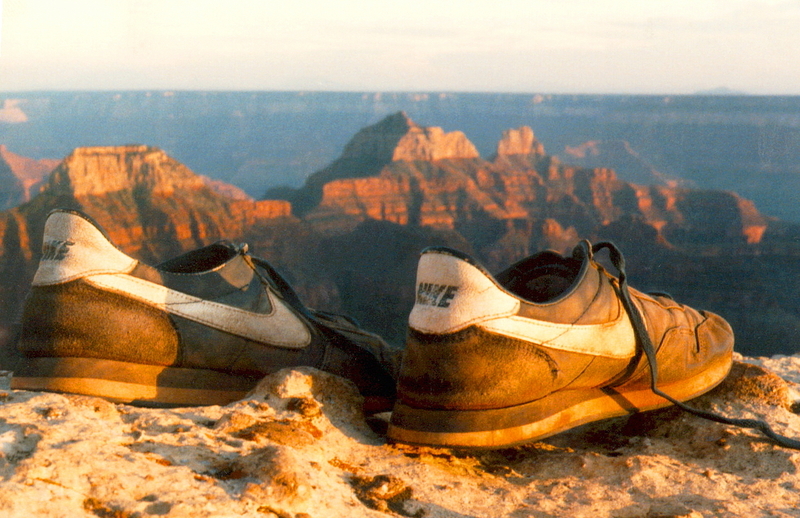 My friend Jeanne and I toured Mesa Verde in 1992, where she introduced me to the kivas left by the Ancient Ones. 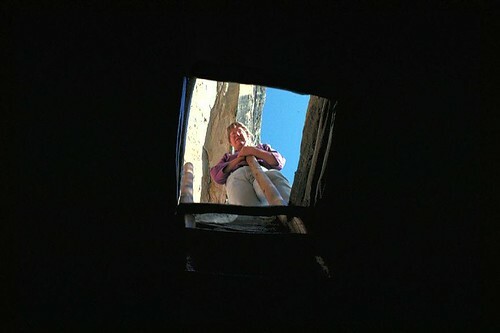 I shot this picture of her looking up out of the kiva. I love the unconventional angle, and the framing of Jeanne, with the cliff towering behind her, through the rough square of light. Guest Photo of the Day: renee.